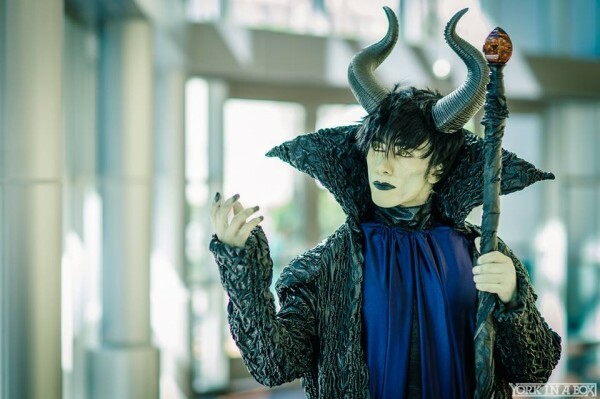 Magnificent Genderbent Maleficent Cosplay « Adafruit Industries – Makers, hackers, artists, designers and engineers! When I see genderbent costumes, it’s usually a female dressing as a male character. 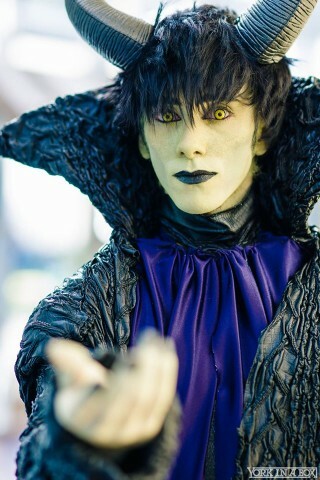 I’m starting to see more cosplay that goes in the opposite direction though, and this take on Sleeping Beauty’s Maleficent by Chris Villain is a perfect example. He adapted her look gorgeously. Her cape is so high-necked we never see the robes underneath it so coming up with an alternate to a dress wasn’t necessary (nor was wearing a dress). This outfit has the high collar but a different front – almost like a choir robe — it’s full length. It’s striking and creative.